Last October the Supreme Court was asked to rule upon the lawfulness of segregation conditions that Imran Shahid, an infamous murderer, was held in for nearly five years. The court considered the Prisons and Young Offenders Institutions (Scotland) Rules 1994 SI 1994/1931 (“the Prison Rules”) and Articles 3 and 8 of the ECHR. A prison governor may segregate a prisoner for the purposes of (i) maintaining good order or discipline, (ii) protecting the interests of any prisoner, or (iii) ensuring the safety of other prisoners. Such a segregation order can be for no longer than 72 hours unless a longer period is approved in writing by the Scottish Ministers before this initial period expires, with further ministerial extensions being possible. The court found that, for 14 months of Mr Shahid’s segregation, the Prison Rules had not been complied with. In particular, the requirement that the Scottish Ministers give written approval for an additional period of segregation before the initial 72 hours elapsed was not complied with on a number of occasions. This conclusion came from the application of core principles of statutory interpretation to the Prison Rules. Lord Reed emphasised that the only principles which allow for the plain meaning of a statute to be circumvented are (i) that statutory wording can be given a strained meaning to avoid absurd or perverse consequences and (ii) even greater stretching of plain wording can be allowed where there has been a clear drafting mistake. The Scottish Ministers wanted the court to ‘read down’ the Prison Rules to allow for late ministerial authorisations, but it was held that neither of the above principles could be applied. Lord Reed, also, provided some interesting obiter on whether a prisoner governor would be required to remove Mr Shahid from segregation due to a procedural breach of the Prisons Rules. Lord Reed opined that the governor’s duties under Articles 2 and 3 of the ECHR would override any duty under the Prison Rules, where this would entail a serious risk to a prisoner’s safety. Lord Reed noted dicta in Ahmad v United Kingdom (App nos. 24027/07, 11949/08, 36742/08, 66911/09 & 67354/09) to the effect that segregation for security, disciplinary or protection reasons does not per se violate Article 3. Rather, this depends on the conditions surrounding the segregation measure, the stringency of the measure, its duration, its objective and its effects on the prisoner. Lord Reed considered the generally acceptable conditions of Mr Shahid’s segregation. It was also noted that medical reports did not show any evidence of severe or permanent injury to Mr Shahid. Moreover, the objective pursued was the protection of Mr Shahid and that there was a genuine and reasonable concern for his safety. It was concluded that segregation under these circumstances did not constitute a violation of Article 3. Mr Shahid also argued that his segregation breached Article 8 of the ECHR, which protects an individual’s right to respect for his private and family life. Article 8(2) states that any interference with this right must be (i) in pursuit of a legitimate aim, (ii) in accordance with the law and (iii) necessary and proportionate. It was common ground that such interference had occurred, so the sole issue was whether it was permissible. The court believed that there was a legitimate aim to the segregation, the protection of Mr Shahid’s safety. The court, however, considered that the segregation was not in accordance with the law. As discussed above, the law was broken when the authorisation process required under the Prison Rules was not complied with. The court also considered whether Mr Shahid’s segregation was more generally not in accordance with the law as (i) the reasons given for decisions confirming Mr Shahid’s continued segregation were formulaic and not borne of genuine consideration of his circumstances and (ii) many decisions of governors appear to have deferred to decisions made by a body with no status under the Prison Rules, the Executive Committee for the Management of Difficult Prisoners (“the ECMDP”). The judgment lists repeated instances of the ECMDP appearing to make decisions in respect of Mr Shahid’s segregation and the authorities in specific prisons deferring to these. Lord Reed noted that this was contrary to the principle under UK administrative law that a statutory power must be exercised by the person on whom the power has been conferred (R v Deputy Governor of Parkhurst Prison ex parte Hague  UKHL 8 and Leech v Deputy Governor of Parkhurst Prison  UKHL 16 cited). As such, the court concluded that segregation decisions that were, in effect, taken by the ECMDP were unlawful and, resultantly, a violation of Article 8. In respect of proportionality, the court noted the need for a rigorous examination of whether segregation measures were necessary and proportionate compared with practicable alternatives. It referred to ECtHR jurisprudence and reports prepared by the UN and the Committee for the Prevention of Torture supportive of the principle that the longer segregation is continued, the stronger the reasons for its continuing use must be. Lord Reed noted that there was limited evidence that any meaningful plan for Mr Shahid’s reintegration, or indeed any less onerous alternatives to segregation, had been seriously considered during the first four and a half years of his segregation. As such, the Scottish Ministers had not established that Mr Shahid’s segregation was proportionate. Lord Reed noted that under the Human Rights Act 1998, s 8(3), damages should not be awarded unless they are necessary to afford just satisfaction. The court considered that Mr Shahid had not been prejudiced by the breaches of his rights. The fact that he had not suffered any permanent or severe injury, that his segregation would have almost certainly continued even if procedures had been carried out properly, and that he was not isolated from all contact were all taken into account. The court concluded that just satisfaction did not require an award of damages, just a declaratory order and an appropriate award of costs. There are a number of important points to take away from this case. Lord Reed’s clear dicta on statutory interpretation emphasises the importance of reading statutes plainly. There are limited circumstances in which a stretched interpretation is permissible. Though his Lordship’s obiter on the overriding nature of ECHR obligations may provide a useful counterargument if a prima facie ultra vires action takes place. The case also serves as a reminder that a public body tasked with taking a decision under statute must do so itself. They should not defer to another body, even if it has ostensibly been set up to oversee such matters. Doing so will likely lead them afoul of both UK administrative law and, perhaps, as Shahid exemplifies, the ECHR. Also of note, as highlighted by Mr Shahid’s lawyers, is the court’s use of international reports, underlining that such documents may very well be referred to when assessing the state’s actions. Finally, the case also reminds us that even successful public law challenges to state decisions can be financially pyrrhic. 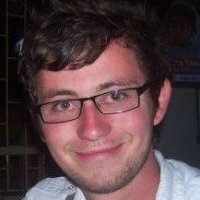 Liam is a Tutor in Law at the University of Strathclyde and Trainee Solicitor at Shepherd and Wedderburn LLP. Leave a reply on "Case Comment: Shahid v Scottish Ministers  UKSC 58"